During World War II many Jews went into hiding to escape Nazi concentration camps. For some, hiding Jews was a profitable business. They would agree to hid Jews in exchange for money. When the money ran out, many would turn on their Jewish charges and hand them over to the Nazis. But there were a select few who could not turn their backs on their fellow human beings, no matter the cost. These non-Jewish people who risked their own lives to save the Jews from Nazi persecution are referred to as The Righteous Among the Nations. In most cases these individuals never intended to become a rescuer, the opportunity often presented itself by a simple knock at the door. It took great courage for a Jew to knock on a door, not knowing if the person on the other side would be willing to help. If allowed inside, their very survival depended on the rescuer who was responsible for their safety, nourishment and care. Great risks came with harboring Jews during the Holocaust and if caught, death was often the price paid. The Nazis would not only kill the rescuer and Jews they housed, but sometimes entire families would pay the price with their lives. 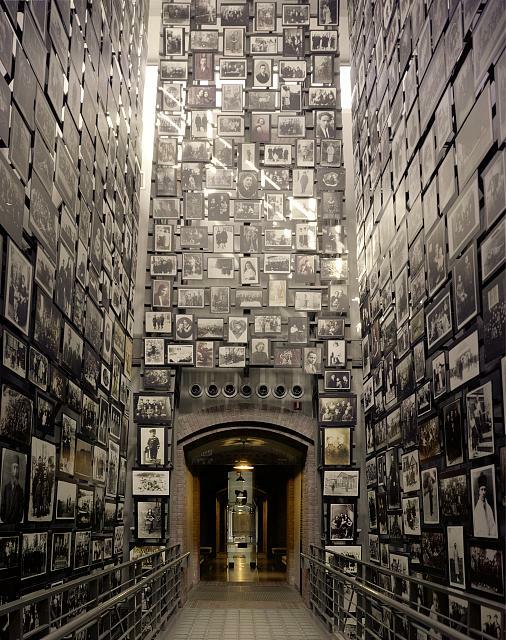 The title Righteous Among the Nations is given by Yad Vashem, world center for Holocaust research, by Israeli law to find and honor non-Jews whose lives were endangered by the act of saving Jews during the Holocaust. There were many ways someone could help protect a Jewish family. Providing shelter for a Jew required finding a secure place to hide where no one would suspect a human to live. Dissimulating was helping the Jews establish a new identity. This required providing a non-Jewish sounding name, creating a new history and producing documents to support these claims. Moving a Jewish family or individual to a safe place could require days of traveling across rough terrain. Saving children was extremely difficult. To improve chances of survival, parents and children often had to be separated, maybe never to see each other again. These parents put all of their trust into the rescuer. Young children would be brought up in a non-Jewish faith, sometimes in orphanages or placed with non-Jewish families. Older children had to accept new identities and lives. The rescuer had to explain the new additions to neighbors and family or had to keep the children hidden at all times.